HOW DID LADYBUGS BECOME A PROBLEM? Lady bug control? Isn’t this sacrilegious? Every- one knows lady bugs eat many nuisance pests so why would we want to kill them? This article will explain why regions in the United States are faced with the problem of invading lady bugs. I will explain why this is happening and what you can do to stop it. Lady bugs do indeed eat many nuisance pests found in and around the garden. As a child, I can remember being told never to kill a lady bug as it is good to have them around the home. In the last few years, we have had increasing numbers of customers from all parts of the United States call looking for relief from lady bugs that are “invading” their homes. At first I thought these were isolated instances that were due to certain conditions. I expected that these conditions were rare and explained to homeowners the invasion would soon subside. Too my surprise, they continued. More people began to call and it was obvious there is more than just “conditions” which were leading to these home invasions. I then conducted some research and the mystery was soon solved. In an attempt to sell “natural pest control”, certain companies around the country have been importing lady bugs from other parts of the world and selling them. These lady bugs have been marketed as being more aggressive and hearty compared to our own indigenous species. One feature of their biology (unfortunately) is they do not die each winter. They hibernate! So unlike our own native species, these imports like to over winter on mountainsides, rocks and caves. Such environments are readily available in certain parts of our country but not all. And since lady bugs are being released in areas where such terrain does not exist they are taking advantage of the next best thing – our homes! Watch this short video to see one of these “pests”. I am not sure how bad of a problem this is, but we have received reports from the Northwest, the Southeast and the Southwest. What is the problem? Although ladybugs do not pose economic problems, this species seems to “flock” to homes in the fall. They seem to like a certain temperature as well as a good amount of cracks and crevices. That means homes with cedar shakes or other wood siding are more vulnerable. And once they start to congregate in the cracks and crevices of these homes, more will come. This happens because they have a very distinct pheromone or “scent” used to alert other ladybugs that a good location has been found on which to nest. In fact there its not uncommon to see massive “balls” of them in attics where they are mating and amassing. This hibernation will last throughout the winter and then come next spring they’ll fly off to live their lives out in the open for another warm season. The main problem is that not all ladybugs stay hidden and out of sight. Once on the home, they’ll move under siding and into wall voids. That’s when they become a nuisance. Once in wall voids, they’ll start to appear in living areas. At that time they’ll be seen swarming around lights, TV’s, windows and ceilings. They’re usually seeking a good crack or crevice to crawl into and remain during the colder time of the year but once inside, they’re “tricked” into thinking its still warm. Consequently, they’ll remain quite active while causing a mess. Though ladybugs don’t sting, we have had many reports from people with ladybug bites. This will no doubt happen if you handle them. So the first rule is to avoid holding them in your hand. However, large populations which are allowed to accumulate in the home will lead to more and more contact with the people. 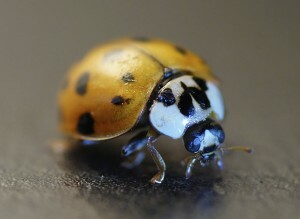 This contact will lead to bites as the ladybugs are doing what they naturally do; forage for food and use aggression as a defense when threatened. Since food is scarce during the winter, its more likely for people to get bit during this time. In the summer they have plenty to eat and consequently don’t randomly bite in an effort to find food. I used to advise customers to “catch and release” them back outside but not anymore. That suggestion has received many followup “mean and ornery” responses. We now recommend several treatment methods which have proven effective to control and eventually eliminate these unwanted invaders. The following video shows how bad a ladybug infestation can become if left untreated. To stop them from penetrating your home, there is a product we sell which works well to both kill and repel them off your home. CYPERMETHRIN seems to aggravate them clearly, ladybugs do not like it. Simply spray the sides of your home where ladybugs are invading and you will be able to kill any present as well as keep new ones from coming around. 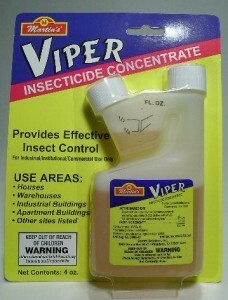 Cypermethrin will provide a fast kill along as well as residual action that can last 3-4 weeks. If ladybugs continue to rest on treated surfaces for a day or longer, they’ll die. Mix 1 oz per gallon of water and expect to get 800 sq/ft of surface area coverage per gallon. That means most homes will require 2-3 gallons of mixed material to get a good protective barrier in place. 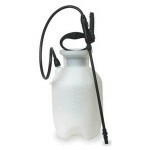 To apply the Cypermethrin, you’ll need a good sprayer. Regardless of how high you need to reach, it’s best to start at the high side of the home and carefully watch to see how much runs down the building. By seeing where the spray runs, you’ll be able to minimize waste and maximize coverage. So if you only need to reach 15 feet up, our standard PUMP SPRAYER will do the job. For homes 20-30 tall, you’ll need a good HOSE END SPRAYER or our TROMBONE SPRAYER to reach all surfaces. The Hose End will use the power of your garden hose to spray the mixed solution up and can reach at least as high as you can spray water from the hose. The Trombone sprayer will require more effort to use but it can reach up to 30 feet. Since ladybugs will return to homes year after year once they start marking it with pheromones, its always best to get a good protective spray outside before they arrive. This way when they start swarming your home, they’ll avoid it or suffer the consequences. This will kill off the ones which refuse to leave and drive others away. Expect to treat once or twice in late summer early fall to avoid the main brunt of their assault. This outside treatment is important as a timely application will protect your home for the winter. But if you miss your outside applications and have them emerging inside the home, you’ll need to do some treating or else endure this unwanted guest all winter. One of the best products we have for inside treating is an aerosol which uses the active Chlorfenapyr. 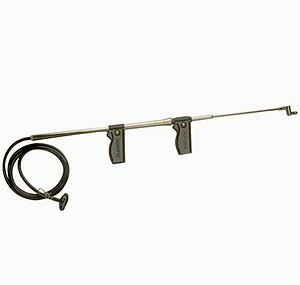 Known as PT PHANTOM, it comes in a small can with a special injector straw so you can deliver the product where it needs to be. Apply by spraying small amounts around windows, door molding and light fixtures. These are common routes of entry. One of the great features of this product is that it goes on “dry” when applied properly so you can apply it inside the home without making a mess. More importantly, its as “odorless” as an aerosol can be. Its barely detectable when applied (most people can’t smell it even then) but within an hour, any odor will be gone for good. Just don’t expect a quick kill; this active takes a good 2-3 days to “kick in” or have an impact. But this is very much by design. This way the active is effectively “shared” with other ladybugs because they’ll transfer it from one member to another of their little nests. This way when the active does kick in and start to kill, it will impact not just the ones which touched treated areas but many, many more. And since the active is undetectable, they won’t be chased around the home or avoid treated areas. Now if you prefer a fast working product, a good alternative to the Phantom would be DFORCE AEROSOL. It definitely has an “instant kill” result but it also has an odor and when first applied, will look a bit wet if you spray too much so use it lightly. When deciding where to treat, try to identify the key rooms where they are entering. Remember that treating inside alone will not stop the invasion without also treating the outside with Cypermethrin. Also remember that once inside the home, you’ll need to treat 1-2 month until the following spring when they leave your home for the warm season. If you’ve sprayed the outside and still have ladybugs inside, consider deploying some LADYBUG TRAPS. These devices are designed to catch ladybugs as they forage in the home – particularly rooms which are difficult to treat. We have three trap options. This first one uses a hanging glue board with ladybug scent pheromones placed inside. The lure will attract “ready to mate” ladybugs and when they enter, they get stuck in the glue. Be sure to replace the traps as they get filled. In most cases, you can set them on a shelf or around windows where they’re active. 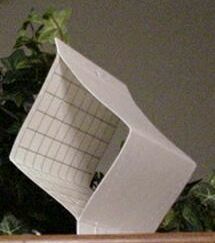 But since these traps will only work when ladybugs are looking for a mate, we find they won’t attract them all the time. Generally they’re good 3-6 months of the year but its not possible to say whey. Fortunately the glue and pheromone will remain active for 6-12 months but if they fill up, be sure to replace them promptly. Set one trap out for every 400 sq/ft of room. Another design we carry is ideal for problems around windows. So if you notice ladybugs constantly around windows in your home, the LADYBUG WINDOW POWDER TRAPS will be the way to go.These work really well at windows since they’re designed to trap ladybugs based on how they fly and move once on the glass. Typically active ladybugs will want to get outside as they emerge in your warm living space. This happens because as they come out of hidden voids and awake from hibernating, they’ll be eager to find food. And they know food will be where there is sunlight so they seem to find any window in the home and once marked with pheromones, it will become used over and over by emerging ladybugs. One trap per window can last 6-12 months and they are discreetly effective. But if you want the “best” ladybug trap, get the LIGHTED LADYBUG TRAP. This uses a pheromone lure like the Window or Kill trap but it also has a special UV lamp ladybugs naturally seek. The trap can hold hundreds of ladybugs and can be used inside or outside. It will catch the most ladybugs of all the traps as well stinkbugs In fact its considered one of the best STINKBUG traps on the market but from our results afield, it works equally as well for ladybugs. Now when using traps, its important to remember that traps alone are not designed to eliminate or control ladybugs without spraying as detailed above. So please, don’ get any traps with the hope they’ll get rid of every ladybug in your home. Now will they help? Absolutely. And they can have a significant impact meaning they’ll “remove” the majority of the activity in rooms where deployed. But they won’t catch or collect every bug and as long as your home is left untreated (especially on the outside), more will come around so there will be a never ending “new” population coming inside. Also, its important to understand that to achieve the best result using a trap, you’ll need to keep it active all night long in a dark room with no other lights on. Set out one trap per 600 sq/ft. If you want a fun and easy way to get rid of ladybugs without any mess or fuss, get our HAND HELD ZAPPER. 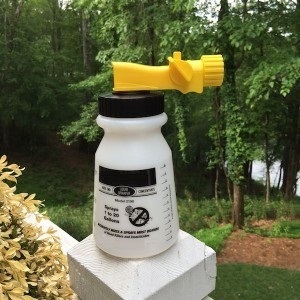 This device is great for use on wasps, bees, mosquitoes and flies but it will also kill ladybugs on contact. It’s great to use on the one or two that fly around and around ceiling lights. Simply hold up the racket head in the ladybugs path and bam! On contact it will receive a lethal shot of electricity causing instant death. For even more control, get the BUG VACUUM/ZAPPER. This self charging vacuum is strong enough to pick up just about any size insect and you decide if you want to kill what you catch or release them elsewhere. It is worth mentioning that several homes we have encountered have had the infestations so bad that we were able to view masses of ladybugs in attics and crawl spaces. If you are seeing 20 or more ladybugs emerging in your home every day, do a thorough inspection of the attic and crawl space. Pay particular attention to the insulation in the attic. Ladybugs like to burrow under and between insulation and wood sheathing. Most homes develop infestations in these locations well before owners realize any thing is happening. Once established, the ladybugs will breed and over winter. After a season or two of doing this, their numbers will be so great that they will find their way into your living area. If ladybugs are active in your attic or crawl space of your home, consider dusting these areas for long lasting, better suited material for the job. The reason is simple; liquid treatments don’t do well in the attic. They tend to make a mess and get absorbed so they don’t leave a protective barrier out in the open. But DELTAMETHRIN DUST will cover the area well and in turn, provide maximum protection with little effort. It should be applied with a DUSTIN MIZER to get the product evenly distributed. Once the attic or crawl space is treated, ladybugs will quickly die. The residual of the Deltamethrin Dust will provide continuous protection so no new infestations will be able to live or breed. Combine the void treatments with spraying the outside of your home and you will have an effective ladybug control program in place. But remember, they will continue to return to your home and as long as your house has open cracks and crevices for them to hibernate. So for some situations, it may be worth doing a good “house sealing” job. Most homes with ladybug problems have lots and lots of small cracks, crevices and gaps through which ladybugs enter and use for hibernation. These entry points should be reduced and/or eliminated with the use of some FOAM SEALENT 16 OZ. These cans are self charged and good for small jobs. The small can comes with its own injector tube too. Each can can cover up to 1000 feet while making a 3/8″ bead. 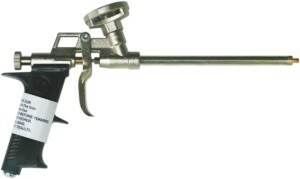 If you have a lot of cracks to seal, it would be wise to invest in one of the professional FOAM GUNS and maybe even the 24″ FOAM GUN. These tools will enable you to apply the sealent quickly and precisely without much waste or missed applications. In other words, they will more then pay for themselves.You’ll need the FOAM SEALENT 25 OZ for these guns, which easily fit on either applicator, and cover a much larger area then the smaller cans (over 1500 linear feet while making a 3/8″ bead). For added protection, consider the FOAM WITH REPELLENT. This formulation of foam comes with expanding foam but includes a strong repellent which insects and animals do not like. It may be just what you need to make sure ladybugs and other undesirable home invaders aren’t able to find their way inside quite as easily as they have in the past. Be sure to keep your applicator guns working fine by cleaning them with FOAM GUN CLEANER after each use. 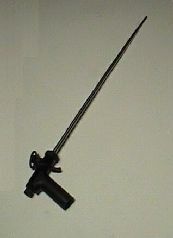 This will keep the gun functioning and ready to go to work when next needed. The following video highlights some of the features of using the Foam to seal out ladybugs. The following video highlights some of the features of using the foam to seal out ladybugs. If you only want to repel ladybugs and not kill them, NBS might be a product you’ll want to use. It can be sprayed at the rate of 3 oz per gallon of water for use on your home or plants. Use one gallon of mixture for every 800 sq/ft. But NBS can also be added to paint or stain the next time you finish your homes’ exterior. When using it as part of the homes exterior, you’ll get a good 1-2 years of insect repellency as part of the homes exterior coating. Made from plant oils, this 100% natural product isn’t a pesticide and it won’t kill any insect. But it will no doubt help by repelling them and keeping them away. Ladybugs are predatory beetles who can seemingly be a friend of man but also an enemy. In general, they do not present a problem. In fact, most people would like to have them around for their natural pest control qualities. However, the different species introduced here in the United States to help provide natural pest control has had mixed results. Many people are experiencing a mass invasion of these insects and it’s clear this problem is not going away. There seems to be three stages of infestations. 2) … that next fall, there will be a lot more. And we mean ALOT. Again, most people will do nothing. They’ll hope its just a “fluke” that will go away and not return. 3) By the third or fourth year, the situation goes from ladybugs on the outside of the home to a mass invasion. This invasion makes for a mess inside the home with ladybug “dust” everywhere along with dead carcasses and eventually, a very distinct smell. The good news is you spray your homes exterior the first or second year, ladybug invasions will be easy to control. And if you have waited several years before treating, you can still manage them but will have to more like dusting, treating living spaces with an aerosol and setting out some traps. But will get control if you give the treatments to take effect and run their course. And after 6-2 months of beginning a ladybug control program, you’ll begin to see long lasting results that will allow you to live ladybug free all winter.. Thank you for the info on the lady bugs. Where do I purchase the cypermethrin and what is the price of this and also the PT Phantom? I have found the lady bugs on my deck and by the bottom of the brick on the outside of house and they also crawl on the window above deck. My home is over 100 yrs. old and I’ve had to seal against bats and other insects who beleive this is their home. My pest control tells me not to worry about certain insects because the house was treated with lindane powder back prior to me purchasing it. Now I have ladybugs invading and they die as soon as they come into the house, so I will try the Cypermethrin and spray in the attic and around windows upstairs, hope it will work. I will remember to treat this fall. The ladybugs really make a mess, I just hope this spray will deter them from coming here as their home. Spraying the outside of the home will no doubt deter and repel this invasive species. And in the attic, spraying around routes of entry will help too. But as explained above in our article, the Deltamethrin Dust is the best long term control for the attic space with treatments lasting a year or more. And for the living spaces, the Phantom Aerosol is best suited. It’s what I use around my windows and doors since they congregate in these areas on my home which is less than 1/10th as old as yours. My point being that ladybugs don’t discriminate; they’ll use whatever unprotected structure they find on which on which to hide and hibernate. I treated two years ago and that did them in but this past fall, they must have come back. I just never saw them. Now we’re seeing a few inside, around the windows trying to keep warm by the sun, and the Phantom took care of this problem easily. Please help me eradicate these creepy biting ladybugs that invade my home every winter and stain their feces everywhere. I’m sure we can help. For starters, I suggest you read the article above to learn about the various methods of control you can do. There are also some video’s worth viewing that cover a lot about the treatment methods you’ll need to do for this pest. As you’ll learn, you may have to spray just the outside of the home if that’s the only place you see them now. This should be done every fall, before they come, to keep them off and away from your home. And the material you’ll need to spray with is Cypermethrin. It’s quick acting and long lasting on ladybugs. Now once they’re inside the home, you’ll still need to spray the outside with Cypermethrin but you’ll also have to start using one of the aerosols we have listed like the Phantom for inside treatments. 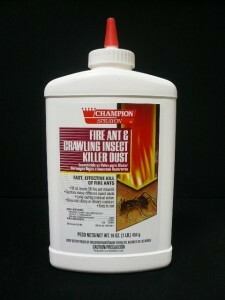 It’s odorless, goes on dry and works well for any pest. There are other control methods listed in the article you may need to deploy but in general, these are the two main treatments needed to get ladybug infestations under control. Give us a call if you have further questions or need help. Our toll free is 1-800-877-7290. All the information above, products and uses including customer comments are very informative. However, I have one important question: infant safety inside home; 4 and a 1 yr. old; PT Phantom. Please don’t say self explanatory, I’m 73 yrs old. Thanks. Please reply soon. Your concerns are warranted but for the products we have listed above, not an issue when used properly. Basically you only have to have the kids and pets out of the area when treating and once the treatment is able to settle and dry, the residual will not pose a hazard to anyone. In fact, most every product listed above will have a “safety video” toward the bottom of their respective product pages in our cart. These video’s go over how to safely use the material, how to store it, mix it, etc. Definitely review these video’s as they are very informative. Want one of the stinkbug/ladybug black light traps. Where and how much? How do you dust an attic when the house is 50 years old and we do not feel the attic is safe enough to crawl around in – let along be able to get up in it. Thanks! Use one of the dusters we have listed in our article. So all you’ll need is an entry point, like an attic door, and at this point the Dustin Mizer will be able to blow the dust a good 25-30 feet in all directions. Now if you don’t think this will get you good enough coverage, go with the Electric Duster. This can shoot the dust up to 50 feet in any directions. And you can rent it or buy the unit outright. Thanks for all the support and I’ll certainly support the business! A wealth of information on this site and I’m so thankful! What is your definition of “fall” as far as San Antonio, TX is concerned? Funny you should ask. I was visiting San Antonio back in 2015 at the end of September in 2015 and it was HOT! I remember thinking when, if ever, did fall arrive to this part of TX? Well after talking to some friends, I would say that you would not want to wait for your first fall treatment past the end of October. And based on our customer base in your region, it would appear that most begin to have issues late October and certainly by November. Live in South Western Part of NC on a mountain top. I have purchased and used CYPERMETHRIN to control the Asian Lady Bugs. I am not exaggerating one bit here, when I say, for periods, usually early November, our home annually gets hit by thousands of these Lady Bug Pests. The CYPERMETHRIN, plus all the cocking I have done around our doors and windows, has definitely stopped them from entering our home. But, during that period of time each year, I am left with the chore of cleaning up dead carcasses each and every day. As mentioned our home is on the top of a mountain, and main exposure facing South. Our neighbors DO NOT have the issue of being invaded every year by these pests. Again, the product I have purchased from you folks is working, BUT, any ideas WHY these pests choose our home over others? I would love to hear your comments, and or suggestions. PLEASE and thank you. Great feedback! And though its not possible for us to answer your question with one specific reason, its most likely a combination of factors. And here are three we know can be important. So first, homes that are “atop” a ridge facing south or southwest tend to get targeted. This means “position” does matter. I happen to have the “tallest” home in my subdivision and it sets atop a bluff which overlooks the Chattahoochee river. The back of my home faces southwest and I too find that at some point in November, we’ll have hundreds if not thousands appear requiring a treatment with Cypermethrin. Second, the color of the home can be important. In most cases, white seems to be a color they’ll target but this is not written in stone. My home has some white siding in a few areas and these are the only areas they target. Lastly, it does appear that once a home has any active for 1-2 years, the structure gets “marked” and in turn, has ongoing issues. As our article above explains, its very clear that homes which get a problem for 1-2 seasons tend have it only get worse if left untreated. This tends to happen because first, pheromones left by the beetles in the past are detected by currently active beetles when they start looking for a home to over winter on. But also the offspring of the ladybugs that have used the home before are no doubt “wired” to find the places their DNA “knows” about. In summary, its no doubt a combination of things involved and any one of them could be more significant than the others. But trying to identify which is most important for any one home is a mystery we may never solve.